There are some great changes at Ahwatukee’s Angry Crab restaurant everyone should know about! Jason Vance is back as manager at the Angry Crab in Ahwatukee Mountain Park Ranch community. He has implemented some great changes, such as extending Happy Hour Monday – Friday from 3:00 PM – 7:00 PM. This is great for anyone fighting traffic to get home and who found 6:00 pm was too early to take advantage of one of Ahwatukee’s best happy hours. Another welcomed change is Happy Hour now extends to all tables in the restaurant, not just at the bar. If you are attending a happy hour with friends, finding 4 seats together at a bar is a bit of a challenge, and visiting when you are sitting side by side at the bar is difficult. This is a welcomed change! Of all the recent changes, my personal favorite is the $5.00 shrimp, when not on Happy Hour will be available for $7.00. This cold shrimp are large and such a great value, and previously not available outside of Happy Hour! Speaking of value, the Angry Crab offers great food for a great price. I have frequented the Angry Crab consistently since the Ahwatukee location opened in August 2015 and have always had excellent service. We need to continue to support this great locally owned restaurant, especially one which is working on improving how it serves its customers by recognizing the hours for Happy Hour needed to be extended and extended to the entire restaurant. The management at Angry Crab is working to take care of their customers and we need to show our appreciation by frequenting a locally owned restaurant. I have lived and worked in Ahwatukee for many years. As a Realtor here at Keller Williams Realty Sonoran Living, I have noticed how few restaurants we have within the Mountain Park Ranch community. While there are many good Ahwatukee restaurants, it is always nice to have a restaurant you like minutes from home. Restaurants here come and go and the location of the Angry Crab Shack located at 3820 E Ray Rd, Ahwatukee 85044 is no exception. I can recall at least three different restaurants at this location. There could be more be because they have not been memorable! 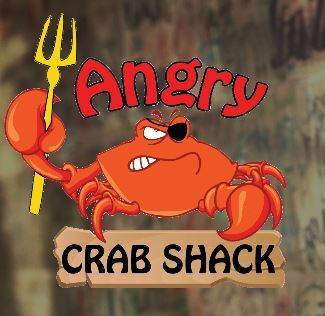 I was pleasantly surprised when I first visited the Angry Crab Shack. Many friends and neighbors mentioned looking forward to this restaurant opening as they liked the Angry Crab Shack locations elsewhere in the valley. The Angry Crab Shack expanded to Ahwatukee this summer and I couldn’t be happier. Since the opening of this Louisiana-style restaurant at 3820 E Ray Rd, I have enjoyed several dinners and happy hours at this great new restaurant. As a long time resident of Mountain Park Ranch, it is a pleasure to have a new restaurant, especially one specializing in Seafood. The food is amazing and the service great. Having eaten in New Orleans many times and along the Gulf coast, this restaurant is reminiscent of the southern-style cooking found there. In Phoenix, one usually hesitates to order oysters on the half shell. However, I have ordered these three times and have found them to be very fresh and delicious each time. The Cajun-style food takes me back to many meals in New Orleans. The shrimp & mussels are tasty, the various sauces to select from are delicious. A great benefit of the Angry Crab is the ability to select the level of heat you want on your Seafood. You can also select from lobster, crab legs, blue crabs, etc. Have you ever tried to decide where to go for dinner when someone wants Seafood and others don’t? If you or someone in your family not a fan of Seafood, this place is a great option to meet everyone’s idea of a perfect meal! If you want chicken or BBQ you will not be disappointed here. Some restaurants that serve a variety of seafood, beef, and chicken don’t serve them all well, but The Angry Crab Shack has the right formula and hits a home run with everything I have tasted. where you can get directions to all of their locations, hours of operation, a history on the business, and the menu. While we usually select a restaurant for great food and atmosphere, the service I have experienced has been consistently excellent. From the first dinner to Happy Hour at the Bar, the staff takes pleasure in explaining to first-time visitors the nuances of the food and drinks. They seem to genuinely enjoy their jobs which makes for a nice dining experience. Make no mistake, this is a casual dining restaurant. No suite and ties required! In fact, with the Louisiana style of serving, complete with a lobster bib if desired, the more casual the better. Your table is covered with butcher block paper to catch the drips of sauce and also service and your dinner plate. Want to peel your shrimp and get your hands dirty, great because this will ensure you take in the full Louisiana experience. When you are done, you head over to the communal sink and wash away the yummy sauce. Your kids will love this place! There are still many things on the menu for me to try. With the cooler weather coming the large patio area will accommodate many hungry diners. Outdoor patio seating is always welcomed when the Phoenix weather cools down and we can look forward to months of great weather. While living in Mountain Park Ranch for the excellent Kyrene Schools, convenient location to shopping and highway access, adding another high-quality restaurant continues to make this area very desirable for the discerning home buyer. We all like to patronize local establishments. I predict the Angry Crab will do well in this Ahwatukee location. Looking for live music? Look no further than the Angry Crab. Check with the website or Facebook page for artists and times! I hope you found the information about the Angry Crab Shack useful. If I can be of assistance with your Real Estate needs anywhere in the Ahwatukee / Mountain Park Ranch / East Valley area please call me at 602.770.0643. I have attached three links below. The first one will let you email me with any questions or comments. The second will send you to the custom search area of my website to look at homes for sale in Ahwatukee / Mountain Park Ranch or the East Valley area. The last one will send you to the Home Value area of my website so you can see what your Home is worth Today.